Welcome to March everyone! Always a weird feeling when another month is torn off the calendar. A variety of emotions and feelings seems to collide at once. First a slight wave of panic comes over me as I realize that the quota counter resets back to zero and I have to start thinking about at least 6 new topics worth the time my readers generously give me. Soon after that a major concern washes over as I quickly compute the days left before the summer’s planned 50K running event. Then a major swing to the positive as the thoughts of spring make their way in bring a big smile with the excitement of getting back out in the field for the early migration. Of course, it always ends with the sobering “WHERE THE HELL DID THAT LAST MONTH GO!? !” I like to keep myself very busy and have a to-do list that probably rivals small novels in paper thickness – hate to leave this world without getting the very most out of it. While I try to figure out how to squeeze a few more minutes out of the day, figured I’d put out a quick post on a pretty cool looking bird. 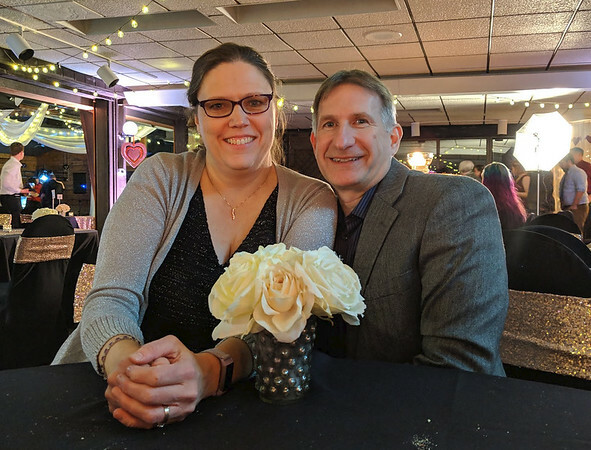 Before I do that though, wanted to give a shout out to Brian over at Butterflies to Dragsters (link here) who just celebrated his second year of blogging! Those of us with our own blogs know very well the work that goes into them and Brian has been putting up some amazing stuff from his outings across the pond. Check him out and wish him a happy anniversary, you will not be disappointed. Decided to go with a quick post today from a shoot back in May of 2014 – I know, I know, I’m waaaay behind, but these calendar pages keep flying off the walls. 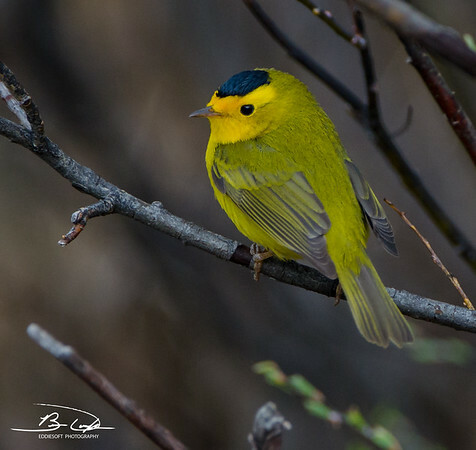 Hit the jump to see a few more picture of this very distinct Warbler. Apparently some of you are tired of the bird after bird after bird posts as of late. Note even the slight detour with an amorous Skunk would appease your thirst for something new or more succinctly stated by a rather perturbed correspondence “you know, your blog is called wildlife not birdlife”. They definitely have a point so today I will try to appease the teeming millions and go with something in the cloven hoof category – a Killdeer! … sorry, bad birding joke. Don’t fret, I am making good on a real hoofed animal. Okay everyone, say it with me “….Ahhhhhhhhhhhhhh”. How cute is that!?! Now some of you might have held back a bit knowing how destructive these animals can get when they mature. Anyone who lives in the country like Linda and I definitely know their taste for flowers and gardens. At our other house we enjoyed the blooms on the 100 tulip bulbs we planted for … wait for it … wait for it.. ONE day! Then we had the pleasure of enjoying 100 bloomless stalks for the rest of the month. One has even managed to completely destroy my first sports car (thank god for air bags and a lot of luck). Even Linda has managed to tear up some fenders bouncing off them while they attempted to play Frogger. However, when it comes to their baby stages, they are just plain adorable. 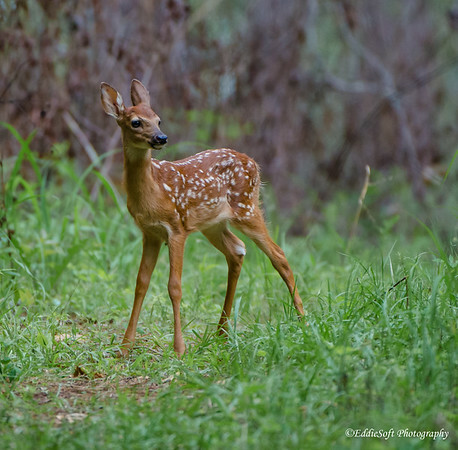 You usually do not simply come upon a Fawn out on its own. Their mothers generally keep pretty good tabs on them and tend to shadow them just far enough that their offspring think they are braving their new world on their own, but in truth they are being watched very closely. To be honest, mother is probably spending more time watching their surroundings making sure there are no predators around. 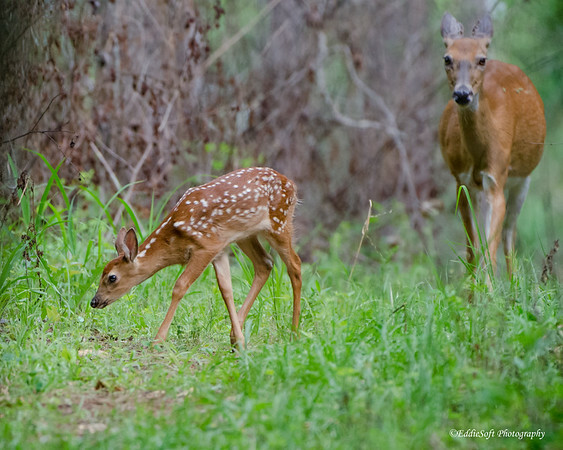 Sure enough, this Fawn was under a watchful eye. Hit the jump to see a few more pictures (it will bring a cheer to your heart). Once again the white fluffy stuff is coming down. Luckily the accumulation has been manageable so far and not one to complain since it means our wells will benefit as it melts off in a month or so. Unfortunately, not the best of timings as Linda and I had to renew our qualifications on the range this morning. Last time it was also snowing, but 2 degrees (F) out making conditions completely miserable. Still chilly today, but definitely better. Now that the fingers are all warmed up, figured I’d bang out a quick post (bad pun). Decided to wait on the previously planned post and continue with the Valentine’s theme. This was mainly due to a few people asking for details on how our annual “Date Night with a Skunk” went. Quick background. We are members of Wildlife Prairie Park, a now privately owned park focused on the wildlife historically common to the Midwest. They have a number of captive animals and birds to enjoy and really nice grounds for walking, birding, mountain biking, trail running etc. We happen to volunteer there helping them photographically chronicle their progress on a new bird related endeavor they embarked on last year (3+ years still to go on that). This park used to be owned by the state, but since Illinois is essentially a fiscally failed state (scratch the “essentially” and just go with it IS a fiscally failed state), some private investors ended up taking it back and turning it around. One of their annual fundraisers is an elaborate Valentine’s dinner complete with drinks, dancing (if you are into that), 5 course meal, door prizes and you guessed it… an evening with a local resident Skunk – a play on the love stricken Pepe Le Pew cartoon (not sure this cartoon fits in this day and age anymore). For several years now, along with some friends we have been attending this event and yes, getting our pictures taken with an absolutely adorable Skunk. Just in case you are wondering, de-scented and basically a domesticated version of their more common wild brethren that have a habit of causing neighborhood dogs to get tomato soup baths. Our friend Sung took our pictures above before the night took on an unexpected elation moment only to result in a major disappointment. Before I get to that, let’s shift to the real feature for today’s post. Hit the jump to see a few more pictures of the featured bird and find out how the dinner party went. Hello Everyone, Happy “Spend Lots of Money on Your Significant Other” Day or minimally shower them with affection and let them know how important they are in your life (the latter being a hell of a lot cheaper .. just saying). So a few posts back I mentioned that I had already selected the featured subject for this special day. That foreshadowing resulted in Ron spending every available minute from that point on theorizing, hypothesizing and speculating on what I would possibly select to represent SLoMoYSO Day. He actually had a few good guesses, but failed to put two and two together even though he already knew what birds were in my queue. 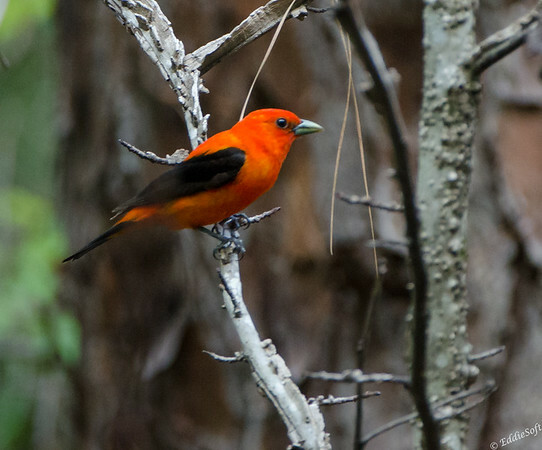 Granted, his guess of a Vermilion Flycatcher (link here) would have definitely been a fitting tribute to the traditional color of the day, I went with another option – one that is making its debut on the blog. Yes, a Hummingbird! How cute is that!?! In every post involving these delicate birds I’ve mentioned how I have to travel to get any variety in the tin. If you live in the Midwest you basically have three choices of Hummingbirds. The first being a Ruby-Throated Hummingbird. Secondly, if you stand real still in a yard full of Hummingbird feeders you just might see a Ruby-Throated Hummingbird. 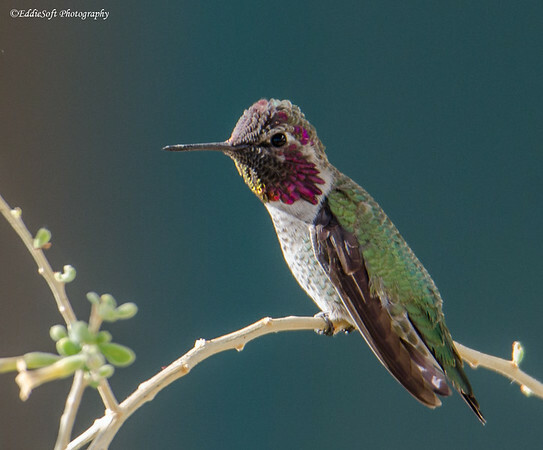 Now lastly, if you are feeling really lucky, and I mean really feeling lucky and cover yourself in sugar water and shimmy up the largest pole you can locate you might find yourself in a mental ward …soon after seeing a Ruby-Throated Hummingbird. I think you get the picture. So instead, we load up the RV and head out to better locations. Las Vegas happened to be the spot where this specimen made it into the tin. 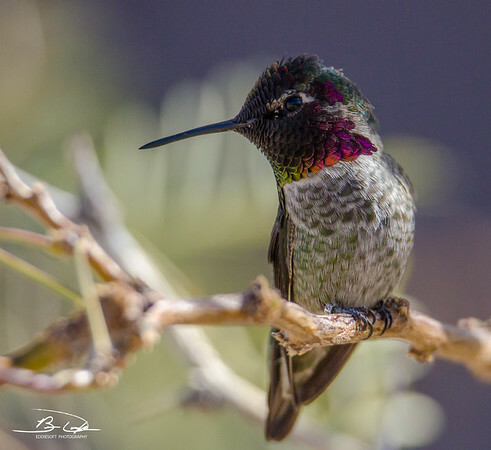 Over the last Thanksgiving holiday we headed out to Red Rock Canyon National Conservation Area to see what we could find being already elated to have checked off the Costa’s Hummingbird the day before (link here). While coming out of the Visitor Center I noticed the unmistakable sound of a Hummingbird blasting by with full burners engaged. Challenge accepted. This proved to be a bit more difficult than usual thanks to choosing to leave the Beast at home and rent a 180-600mm from a local camera store. Although it was definitely lighter than the Beast, the focus was incredibly slow making in flight shots impossible. All was not lost, just needed to wait until these sugar freaks took a break. 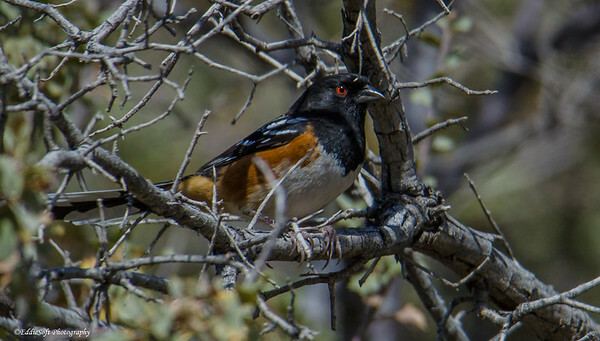 Hit the jump to discover why this little bird was chosen for V-Day. A friend of mine has been getting me all teased up for a vacation trip to Hawaii. He is headed there soon and busy pointing out all the birds from that region he’s already managed to get in the tin. Linda and I had plans to go there for our 25th wedding anniversary, but we ended up postponing it due to other commitments. Every year since then we have tried to plan a makeup trip – again to no avail. Last year we decided that this would be our retirement gift to ourselves and put the trip on the shelf until we decide it’s time to divorce ourselves from the daily grind. So every time someone mentions they are heading to the islands my fingers get all twitchy like, a tick develops in the shoulder and my eyes start to blink uncontrollably until I make Quasimodo look like GQ material. They have some stunners of birds there that I need to see… damn, there goes that twitch again. Oh well, I can at least live vicariously through my friend’s captures until we decide to turn our badges in. You’ll be mine Red-Crested Cardinal .. some day… some day. Until we get to go island hopping, I can still continue hunting for all the continental US birds that still continue to elude me. Today’s featured bird first fell victim to my hunt back in December 2015 (link here). Wait.. ummm, a little late on this, but for those that might be slightly concerned over wildlife with red eyes, you might want to be cautious – the light on these shots were not as conducive to getting the nice red highlights, but they do possess the dreaded early morning Vegas eyes. If you recall back on that initial encounter, we were at Corn Creek Visitor Center outside Las Vegas, Nevada. 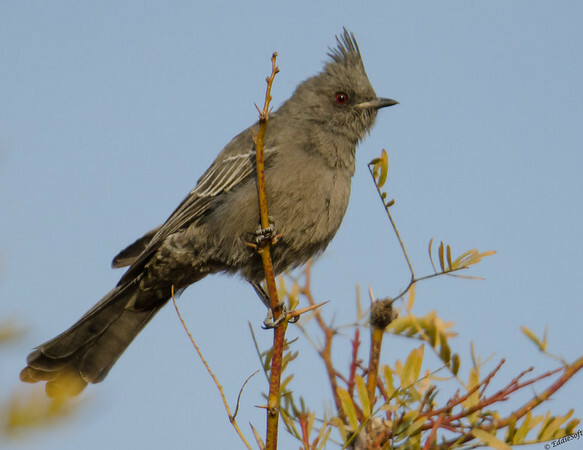 While birding the Mojava Desert over New Year’s, we found a Phainopepla hanging out at the top of a tree. Those shots had to be heavily processed to account for horrible backlighting. In oddly similar manner, we discovered this new specimen. 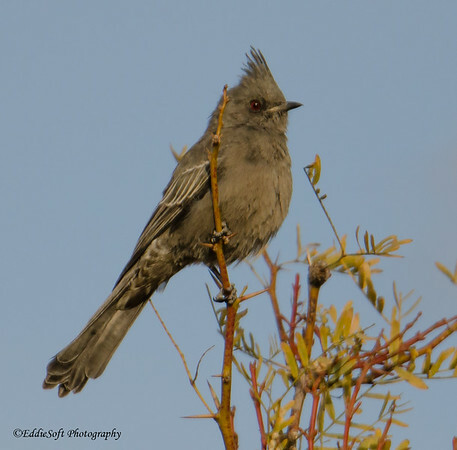 Like before, we were in Vegas, in Late November (close enough to the New Year’s timeframe), and once again it was sitting at the top of a tree in horrible backlight. Hit the jump to read a bit more about the shoot. Welcome to February everyone! Not sure how to feel about that yet. On one hand glad to be past the worst of the Polar Vortex which will hopefully allow me to get off that instrument from hell … the treadmill. On the flip side, I am officially one month closer to the 50K which translates to one notch higher on the stressometer. Oh, it also means the post counter goes back to zero so make that two notches on the stressometer. The best way to keep that under control is to start early and that means not a moment to spare. Let’s go back to the spoils from the Vegas trip last November. 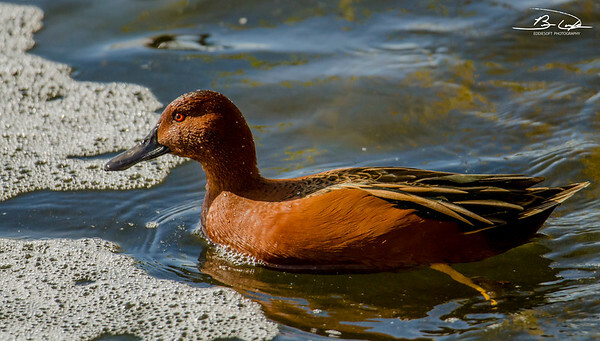 This particular specimen is referred to as a Cinnamon Teal. 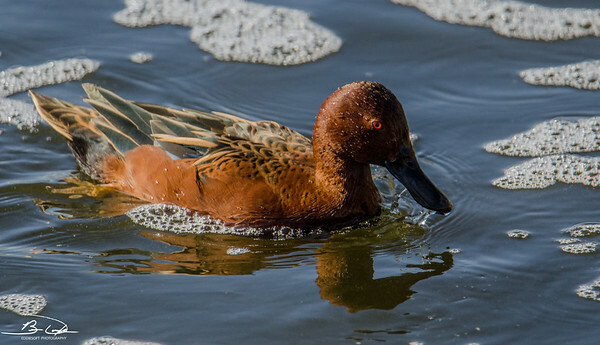 Not a big stretch to guess how this Teal got its name. 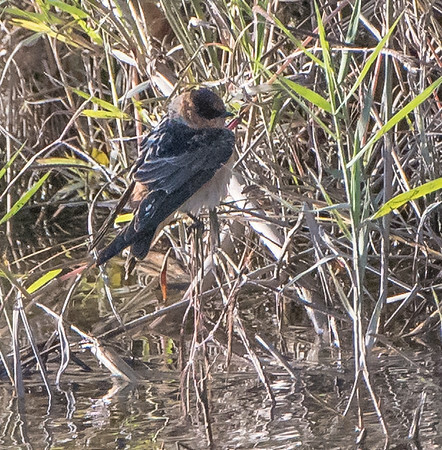 Linda and I were nearing the completion of the pond circuit at the Henderson Bird Viewing Preserve when we noticed an individual pointing above average glass towards the corner of a nearby pond. Talk about a dog whistle for photographers. We slowly made our way over there being very careful not to disturb whatever he was focused on. Eventually I made it to a point where I could see the area of water that was holding his attention. Excitement dimmed just a a bit as his rapid-fire shutter was waving at a Snowy Egret hanging out near the edge of the water. 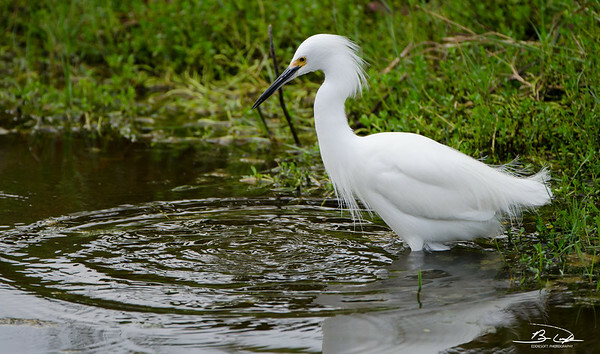 Don’t get me wrong, Egrets are pretty cool, but if there is one sure bet you are going to see at Henderson, it’s a Snowie. Out of courtesy, we hung back until he was satisfied with his shots – not sure he ever knew we were there. Okay, time to get this post out of the way. It has been staring up at me from the drafts folder for about 6 months now, taunting me every time post day came. “Come on Bri, you gotta feature me eventually if you want that +1”. 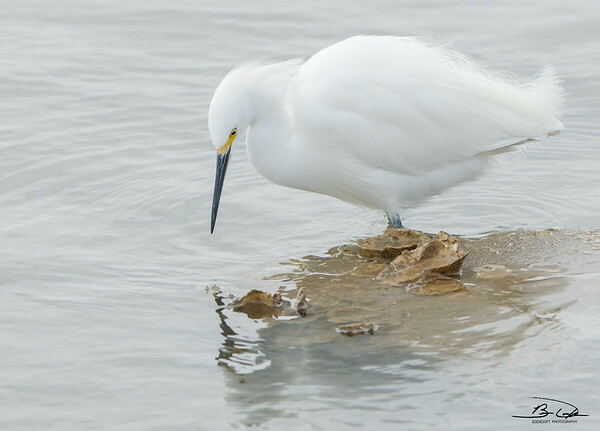 “No one will notice how crappy these shots of me are, they won’t ridicule you and mock your talents nope, no way hehehehe!” Sigh, the bird’s right, I have to get it featured or I will not be able to claim the check per RB Birding Rule #20. 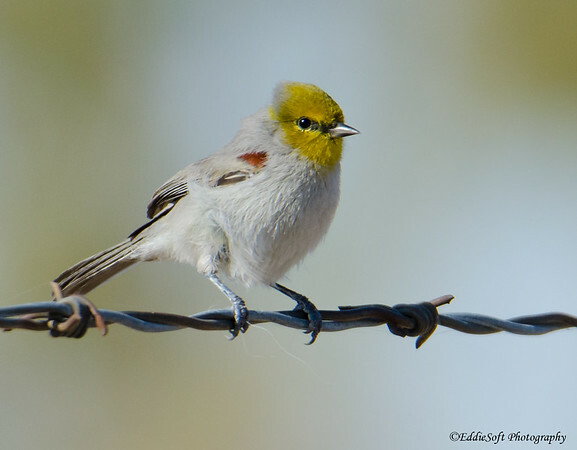 Ron and I have established birding rules born out of someone (name rhymes with con) who has a habit of creatively applying guidelines (link here). Since this represents the 10th post of the month, we are technically in bonus time, let’s go ahead and (cringe) get this out of the way. Prepare yourself, this is going to be a rough set. If you squint real hard, you just might be able to make out a bird – maybe take a few steps back and let the eyes float a bit like with those magic eye pictures that used to be the rage a decade back. Hopefully you will be able to make it out. If so, you are squinting at a Cave Swallow. Hit the jump, but prepare yourself, the images do NOT get any better.